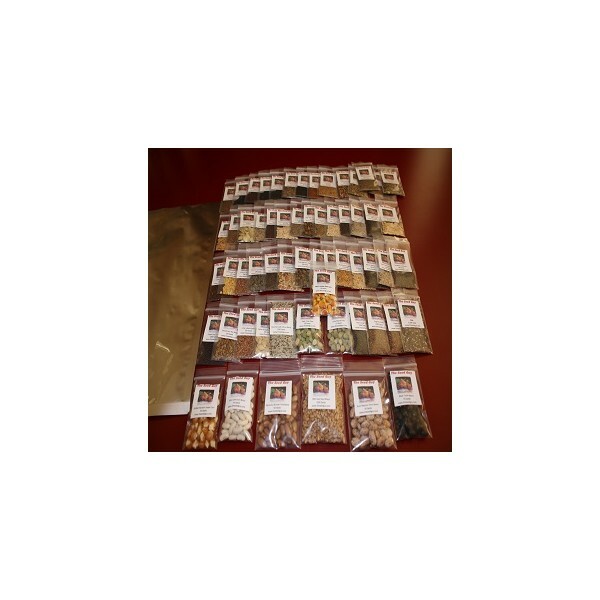 Package Description: Every 60 Variety Heirloom Seed Package is hand packaged with NON-GMO Heirloom seeds, placed in 2 x 3 see-thru ziplocks bags, and then tucked inside a 10 x 14 silver Mylar for your long term storage needs. 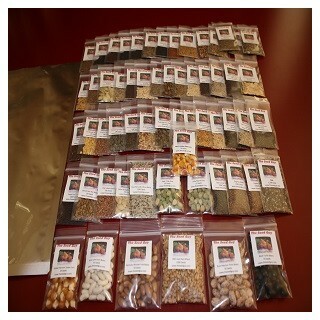 We also Include (4) pages of Planting/Growing/Seed Saving info. 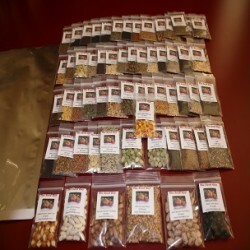 Click "MORE DETAILS" below to see our 60 Variety Heirloom Seed Package list. 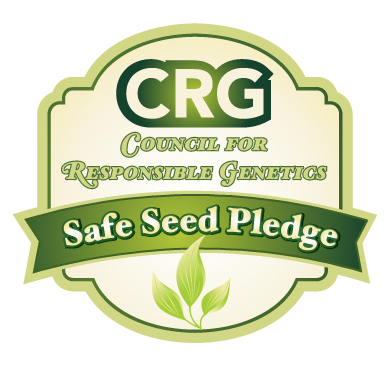 *NOTE: On all our large, Heirloom seed packages, we reserve the right to substitute varieties when deemed necessary.